Looking to mix up your meals with a new noodle dish (a new-dle)? Try this tasty Eastern European dish. 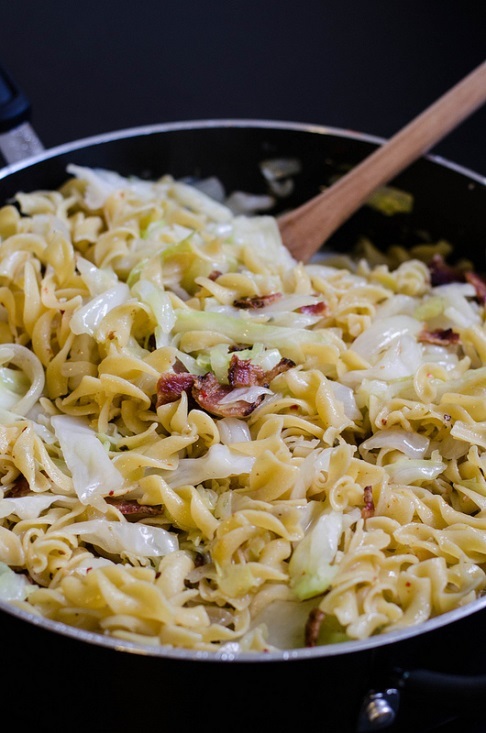 It’s also a great way to use cabbage – one of our favorite veggies. Cook noodles according to package directions. Add a bit of butter (or oil) to prevent sticking and set aside. Melt 2 tablespoons of butter in large deep skillet over medium-low heat. Add onion, stirring sparingly for about 5 to 10 minutes, or until softened and just beginning to turn golden. Add cabbage to skillet, and cook for about 5 minutes, stirring occasionally. Stir in salt, pepper, and caraway seeds (if using) then cover, reduce heat to low, and let simmer for 5 to 10 minutes. 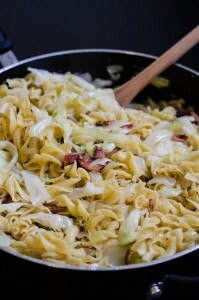 Add cooked noodles to cabbage mixture until heated through. Add additional 2 tablespoons of butter if desired. Serve hot.